With today’s low interest rates, many homeowners are refinancing their mortgages. In doing so, they will be not only paying less interest over the life of the mortgage but also lowering their monthly payments. Timing is everything when it comes to refinancing your mortgage. If you wait too long and interest rates climb, you could find yourself paying tens of thousands of dollars more in interest over the life of your new loan. If you have an adjustable rate mortgage (ARM) and wait too long to refinance into a fixed rate, the loan could reset at a very expensive interest rate. So how do you know when it’s the right time to refinance? Should you do it now, or should you wait and see what happens? The answer depends on your individual circumstances, including how much you owe on your home and your goals for refinancing. Here are a few things to keep in mind as you decide whether it’s the right time to refinance. Timing your refinance to ensure you get the absolute lowest rate is difficult. It’s virtually impossible for the average homeowner to anticipate when rates will fall to the lowest rate over a given time period, and even prominent economists get it wrong on a regular basis. For example, in December 2013, the average interest rate for a 30-year fixed rate loan was 4.42 percent. Experts predicted that 2014 would be the year rates pushed above 5 percent. Rates did rise briefly, but in December 2014, they were down to 3.93 percent—lower than they had been a year earlier. Instead, take a long view. Missing the absolute bottom by a half a percentage point or more really won’t make that much difference over the long haul. Economic activity is picking up—unemployment is declining and production is increasing. The Federal Reserve is potentially raising the federal funds rate, which will put upward pressure on interest rates. The Federal Reserve is reducing policies to stimulate the economy. Home sales and demand for mortgages are both increasing. Ultimately, part of the timing for refinancing your mortgage depends on when you can afford to refinance. 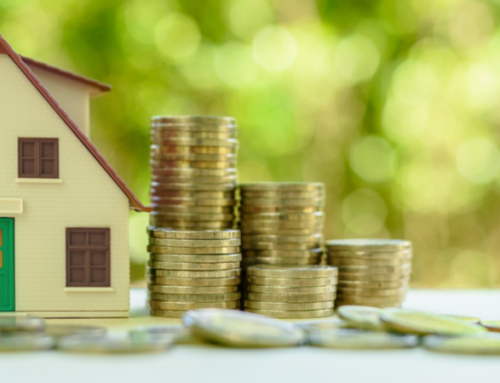 The process has a price tag which includes closing costs, loan origination fees, and appraisal fees, and you must have enough equity in your home to close out your old mortgage and take out a new one. If you have less than 20 percent equity, you may have to pay private mortgage insurance (PMI), which helps mitigate your lender’s loss should you default on your loan. Your equity is determined by the amount you still owe on your existing mortgage and the value of your home as determined by a licensed appraiser. Even if you lack the equity to refinance today, the housing marketplace is always changing. As values improve and you pay down your principal, your turn to refinance could be just a few months away. The health of your credit file plays a role in determining the loan terms and interest rate for which you will qualify. Before you contact a banker or mortgage broker, pull your credit report and assess the information on it. This will help you understand how lenders may view you. You’re entitled to one free credit report each year from each of the three credit reporting agencies (CRAs) through AnnualCreditReport.com. You can also purchase your credit report and credit score from Equifax. Keep in mind that your credit score is for educational purposes only and should only be used as a guide. Finally, as you consider whether to refinance your mortgage, remember that you don’t have to refinance with your current lender. Consider shopping around to ensure you get the best interest rate possible.